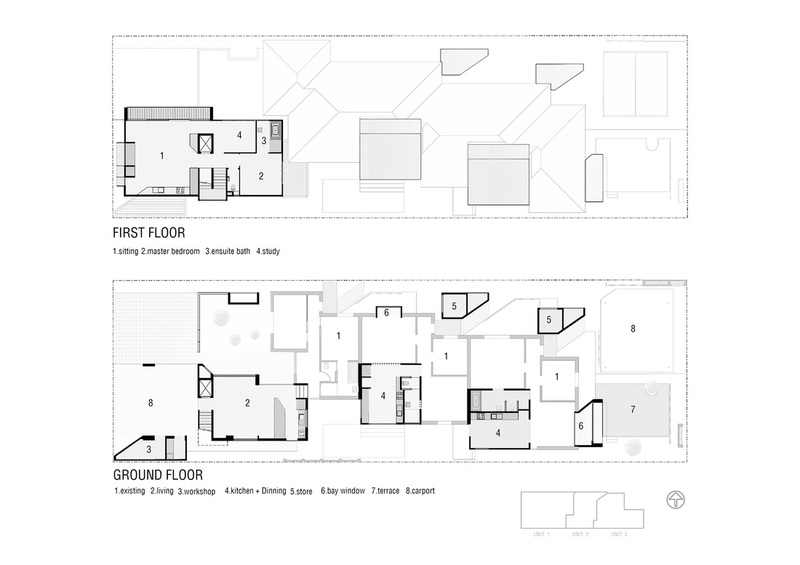 A project comprising alterations and additions to a 1950's triplex with the objective of facilitating a survey strata subdivision. 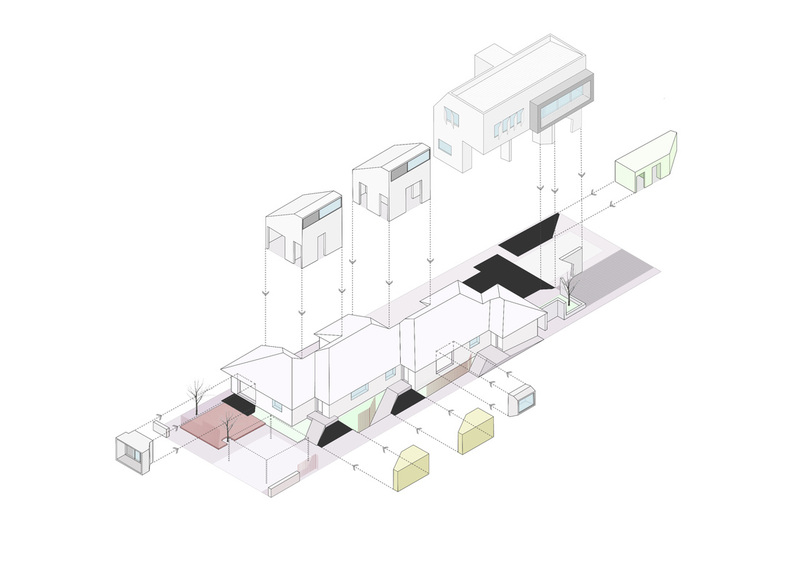 The existing dwellings were equipped with 'plug-in' type components to address spatial deficiencies or compliance matters. 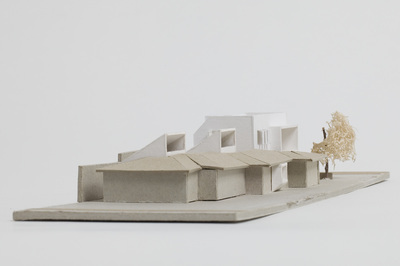 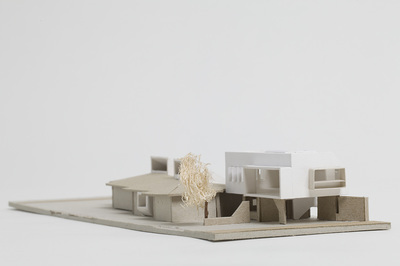 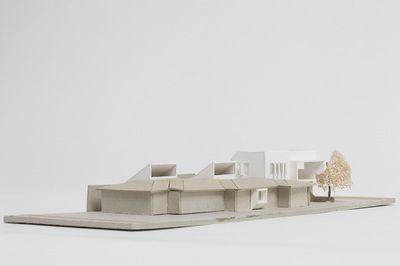 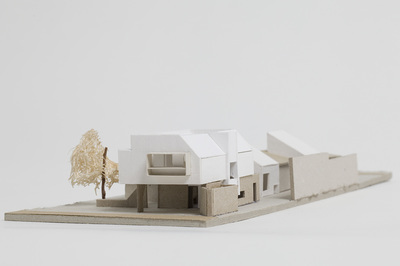 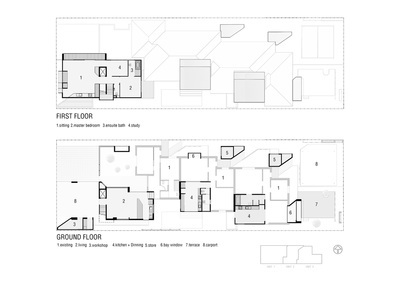 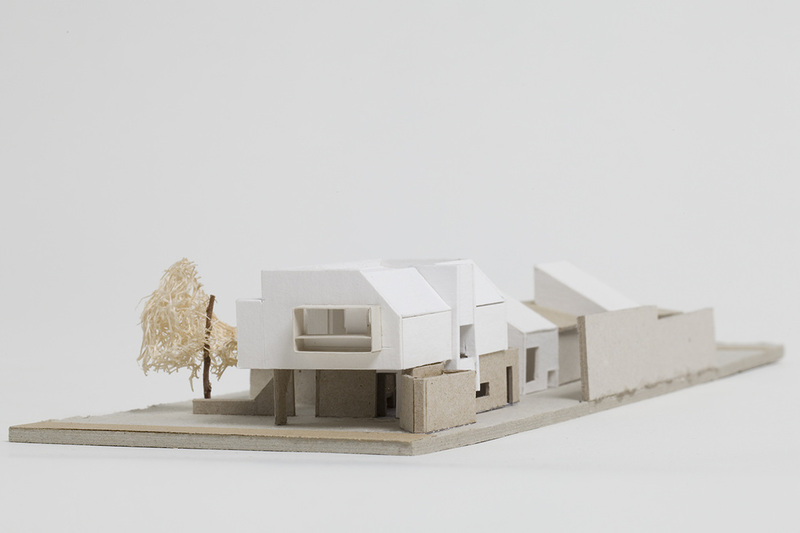 The additions include 'light-funnels' to brighten areas previously devoid of natural light; storage pods that simultaneously augment privacy between dwellings; bay windows to negotiate the transition to new outdoor living spaces and / or to offer spatial enhancement; a double-storey addition to unit 3 with laneway access and flexible occupation. 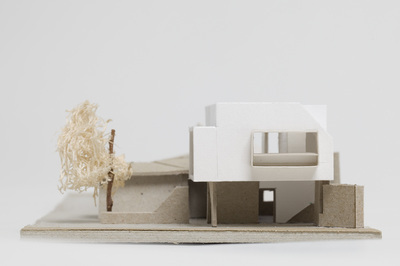 The project exemplifies our methodology of tailoring rationalised yet personable insertions into existing buildings in order to give them new relevance and vitality. 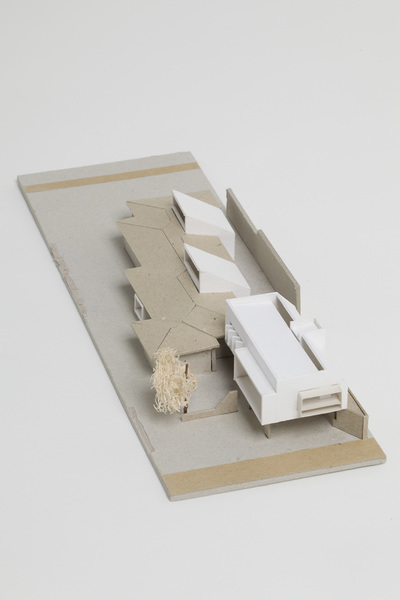 The project is gradually being realised by the owner-builder clients.